Supposedly, we’ve been on the verge of thermonuclear war for the past fortnight. In the circumstances, it would be nice to know (a) what the guy in Pyongyang is thinking about all this and (b) what an achievable strategy goal for the US might look like. During the Cuban Missile Crisis for instance, the US had a very clear objective and eventually offered a quid pro quo of the removal of some of its own missiles from Turkey. This time, there’s no clarity about what the US is seeking, or offering. It hasn’t helped that the US and the global media consistently agree on calling North Korea and its leadership “crazy” and “irrational” and urging it to “come to its senses”. When you treat your opponent as being beyond reason, it gets hard to comprehend what their strategy is, let alone work out the terms of a viable compromise. Thankfully, Foreign Policy magazine has just published a useful article attacking the “crazy” meme. Kim is a survivor, not a madman, it argues. The Kim regime may be cruel and ruthless but it has followed a consistent logic for decades – in which it regards its possession of a nuclear deterrent as its best insurance policy against its foreign enemies. The sorry fate of Libyan leader Muammar al-Qaddafi [has] taught the Kim family its firmest lesson. In 2003, the Libyan strongman agreed to surrender his nuclear weapons development program in exchange for generous economic benefits promised by the West — the first time such a deal had been publicly struck by a state formerly hostile to the United States. But when revolution broke out in Libya in 2011, it was the NATO no-fly zone that doomed Qaddafi’s regime. That story ended with Qaddafi’s violated body strung across a car bonnet. A decade ago U.S. diplomats and journalists, then full of enthusiasm about Libyan nuclear disarmament deal, used to say that North Korean leaders “should learn the lessons of Libya.” And there’s no doubt that they have, even if they’ve drawn very different conclusions. Kim Jong Un sees the nuclear program as purely defensive. Conquering the South would be nice in theory, but this task is completely beyond his reach, both due to the U.S. commitment to protecting South Korea and Seoul’s own huge advantage in economic and technological power. He knows that any unprovoked North Korean attack against South Korea or the United States will end badly, perhaps in his death, and he is certainly not suicidal. However, he also presumes that no great power would risk attacking a nuclear state or sticking a hand into its internal strife — especially if it has delivery systems and a second-strike capability. There is no form of pressure that can convince them to budge on this, no promise that will seduce them into compliance; they believe that without nuclear weapons they are as good as dead. That’s a disaster for the region, but a perfectly logical choice by the Kim family. The internal corollary of North Korea’s foreign policy is the systematic removal of those in the military – or in his own extended family – who might form an alternative power base to the Kim dynasty. As Foreign Policy says, it is only the military and police that routinely get purged and executed, not the country’s top economic planners. That’s significant. By quietly introducing the sort of incremental market changes that Deng Xiaoping ushered into China, the late Kim Jong-il succeeded in setting North Korea’s economy on its current path of gradual economic growth. While there are some disagreements, most experts believe that North Korea’s annual GDP growth in recent years has been around 3 percent or even higher. The era of famine is over, and living standards are growing fast across the entire country — not just in Pyongyang, as some claim. The private money is fuelling a construction boom, while shops and restaurants are crowded with the new rich — and traffic, once barely visible in the capital, is now sometimes a real problem. But these market-oriented reforms have not been accompanied by political liberalization. In culture and ideology, the “nationalized Stalinism” reigns supreme, and the country has by far the world’s highest rate of incarceration for political crimes — some 80,000 political prisoners among a population of just 25 million. 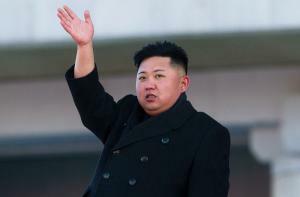 Kim Jong Un assumes that some combination of economic growth with harsh surveillance will keep his population docile. This ruthless logic has kept three generations of Kims in power. There have been some successful nearby precedents, if – as tyrants tend to do – you count mere survival as success. As Foreign Policy concludes, “nearly all founders of East Asia’s “developmental dictatorships” — from Deng Xiaoping and Chiang Kai-shek of Taiwan to Lee Kuan Yew of Singapore — died in their beds, admired by many of their compatriots.” The two previous Kims died in their beds, too. A few weeks ago at his post-Cabinet press conference I asked PM Bill English if New Zealand would be willing to advise the US against the deployment of the THAAD anti-missile system which – especially in the current climate – is likely to be regarded by North Korea as an aggressive act, and which Beijing happens to believe is really being targeted at China, not Pyongyang. No, English replied, he wouldn’t be doing that. Thankfully, the US itself has begun sending less warlike signals in recent days. Regime change in North Korea, it now says, is not on its policy agenda. As yet, it is not clear what goal Washington is pursuing, beyond the projection of aggression. The Trump administration did however, summon the entire Senate to the White House to brief them on North Korea. All for show, with no policy revelation. The pantomime show that the US presidency has become has left the media, worldwide, in a genuine quandary. Should it ignore the latest headline grabbing claim by the White House on the reasonable grounds that it will quickly be buried by its virtual reversal coming down the pike soon afterwards? Is journalism unwittingly making itself complicit in this game of bluff if and when it solemnly reports on the plans to scrap Obamacare, confront North Korea, tear up NAFTA, bring China to heel and slash the US corporate tax rate as if these things are (a) really going to happen and (b) might have real time repercussions for the rest of us. The US media is already being criticised for its role in grooming the public for war with North Korea. Yesterday, in similar vein, we had tax experts on RNZ talking about the ripple effects that the US tax cuts signaled earlier this week might have for New Zealand, and for the rest of the global economy. (Should we cut our corporate taxes too? Can we afford not to etc etc.) Hang on. This stampede is based on the assumption that the media has a duty to report on Trump’s stunts as if they were the serious intentions of a normal politician. The downside of the dutiful, traditional approach to reportage is that the media also becomes discredited when it turns out yesterday’s stern commitment is just another P.R. soufflé, already sagging in the White House kitchen. A few months ago, the wise old heads in the media were saying that the best approach was not to criticize or to attack Trump, but merely to report him, as is. Well, that approach leads us into a zigzag series of alarums and retractions – he’s going to do this, no he isn’t! – similar to what RNZ found itself promoting yesterday. In essence, the media doesn’t do itself or anyone else a favour when it takes Trump at face value. Context and skepticism should be part of the job. Basically, Trump was coming up to the deadline of his first 100 days in office, and wanted to signal that oh yeah, tax cuts. He’d promised those. Tax cuts are what Republican presidents (Ronald Reagan George W. Bush ) deliver, even if the results are so bad, the policy usually has to be un-wound. As Paul Krugman has pointed out time and again, tax cuts have been a right-wing fever dream for decades. For the past 40 years, neo-liberal cultists have claimed there is a direct connection between tax cuts and economic growth. (There is no empirical evidence for this belief.) Supposedly, tax cuts will unleash such a wave of entrepreneurial activity that the subsequent economic boom will be so immense it will more than pay for the original revenue loss. Reality has begged to differ. Reagan and George W. Bush quickly learned otherwise. ….In fact, big businesses are earning record profits, and many of them pay no federal taxes. The corporate income tax brought in just 10.6 percent of the federal government’s revenue in 2015, down from between a quarter and a third of revenue in the 1950s, according to the Pew Research Center. Empirical evidence however, doesn’t seem to have any effect on tax cut believers. If lemming-like, New Zealand follows suit and cuts its corporate tax rate all we will have done is accelerate the transfer of wealth from poor to rich. As the Trump one page “plan” would surely do, if it ever got turned into legislation, and enacted. Tax cuts happen to be the right’s great exception to its customary message of virtuous thrift. For all the railing against the deficits racked up by those wilful spendthrifts on the centre-left, the Trump one-pager would blow the US economy wildly into deficit. Yet at the same time, and according to the likes of House Speaker Paul Ryan, it is supposedly unaffordable for the US to pay adequate medical subsidies to the poor, the elderly or the disabled. But it can – apparently- afford to vastly increase the deficit with large handouts to big business and the wealthy, with a few side servings for small business and individuals, to sweeten the politics of it. History… tells us it is far more likely that the tax cuts would explode the deficit and drive up interest rates as the federal government is forced to increase borrowing. Investors from around the world would then pour money into Treasury bonds, bidding up the value of the dollar, which would increase the trade deficit — $502 billion last year — as American exports become more expensive in the rest of the world and imports become cheaper. This in turn could cost jobs. Economists say that’s exactly what happened in the 1980s when the Reagan administration and Congress drove up the federal deficit through tax cuts and increased military spending. Does anyone have an explanation as to why Scottish bands are generally better than Irish ones, given they share a similar Celtic heritage, and can both point to art-inspiring regions & histories of deprivation? My Bloody Valentine is the exception that proves the rule. Ireland : U2, My Bloody Valentine, Thin Lizzy, Cranberries, Ash, Corrs, That Petrol Emotion, Lakker, Boyzone, Villagers, Van Morrison, Sinead O’Connor, Roisin Murphy, Westlife, Boomtown Rats….and who else? Yet another reason for Scotland being well able to go it alone, once the Brexit deal has hit the fan. If you have a theory about the dominance of Scotland – or if you wish to disagree – email me on gordon @werewolf.co.nz. To mark the death this week of the great Jonathan Demme, here’s Sister Carol singing over the credits of one of Demme’s most enjoyable films, Something Wild.